Growing population, dwindling resources and a changing climate. This collection looks at the Himalayas and the role the world's most extensive mountain range play in the climate system, the people who depend on it and how it is changing. As well as being the third largest freshwater source in the world, these mountains are the water towers for the most populated area on the planet. The Himalayas play a significant role in the dynamics of the Indian monsoon. Radiation from snow and ice cover provides feedback mechanisms for advection water vapour from the surrounding oceans and directly impacts the maintenance of seasonal cycles. When the wind blows over the oceans it brings moisture inland. The warmer the air, the more water vapour. When reaching the Himalayas it is forced to cool, resulting in condensation and rain . The dry, cool air continuing over the mountain ridge descends on the Tibetan plateau. When the air moves down it heats up and becomes even dryer, creating the worlds largest [photlink 119 rain shadow desert] on the other side. See our story from Gansu in north China. The more the temperature rises on earth, the stronger this effect becomes. Anthropogenic climate change is already changing the water cycle on earth, with wetter weather dramatically increasing in some places and severe drought in others. The US National Climatic Data Centre states that ‘Extreme weather events are occurring with greater frequency and in many cases with greater intensity as the temperature soars.' During 2010 China suffered one of the worst droughts in living memory only to be followed by extreme flooding months later. Pakistan bordering the Himalaya was devastated by flooding in August 2010, about one-fifth of the country was affected. In may 2009 the severe cyclonic storm Aila was the second tropical cyclone to form within the northern Indian Ocean in just a couple of months. Hundreds of people were killed and more than 22,000 homes were ravaged when the cyclone struck the Bay of Bengal in May 2009. 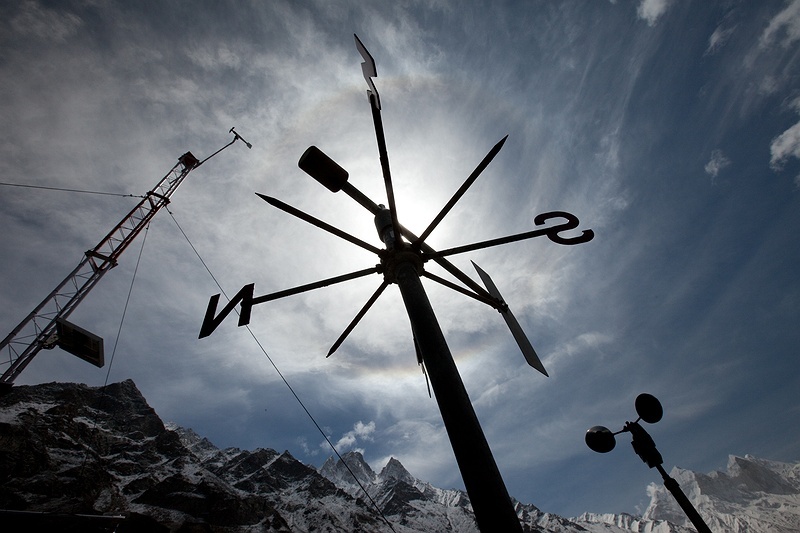 Climate change and weather systems know no boundaries. The consequences of gambling with this unique ecosystem is something that connects, and eventually will effect all people living on planet earth.